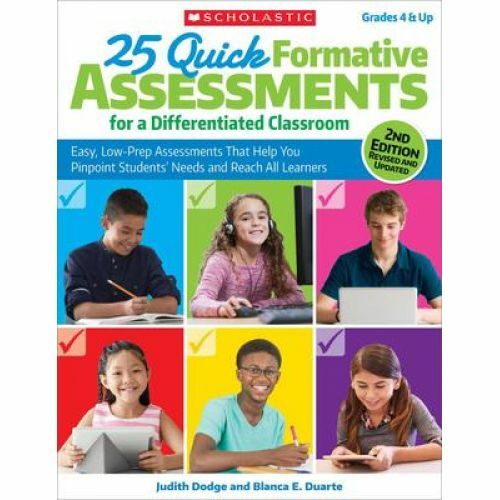 This new edition of this best-selling resource includes new and updated formative assessment templates, technology connections with easy-to-use digital applications for every assessment, a new section on rubrics and self-assessments, a new focus on scaffolding ELLs, and so much more! These ready-to-go activities-complete with step-by-step lessons, student samples, tiering tips, and reproducible student pages-can be used across the curriculum and provide valuable assessment data for teachers. Grades 3-12. Paperback. 128 pages.